Here you have a pendant necklace. 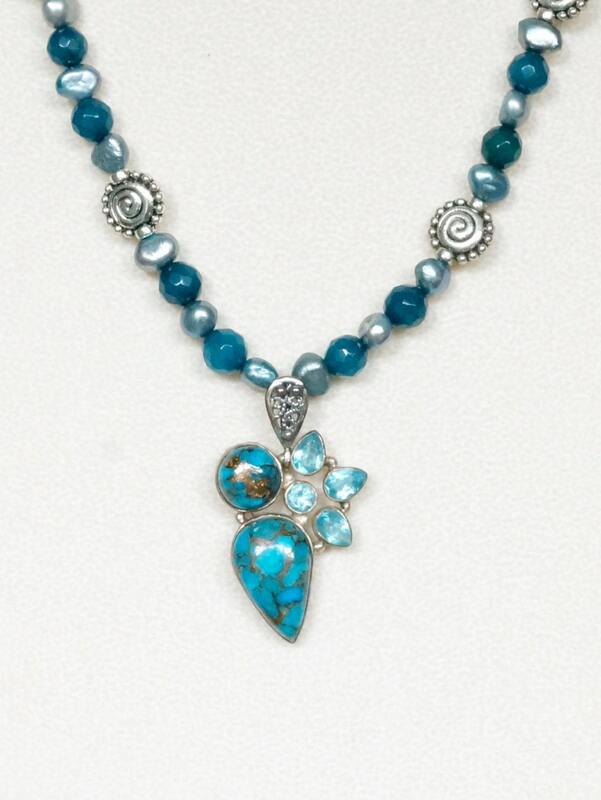 The pendant is made in sterling silver, with copper turquoise and aquamarine stones. 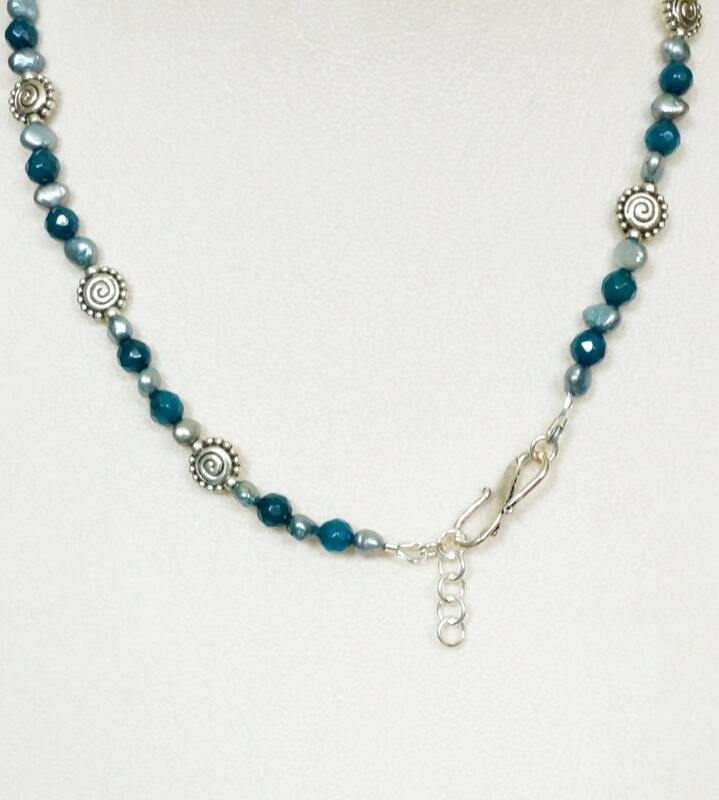 The necklace part is made of blue freshwater pearls, dark blue sponge quartz, and silver plated round spacers. 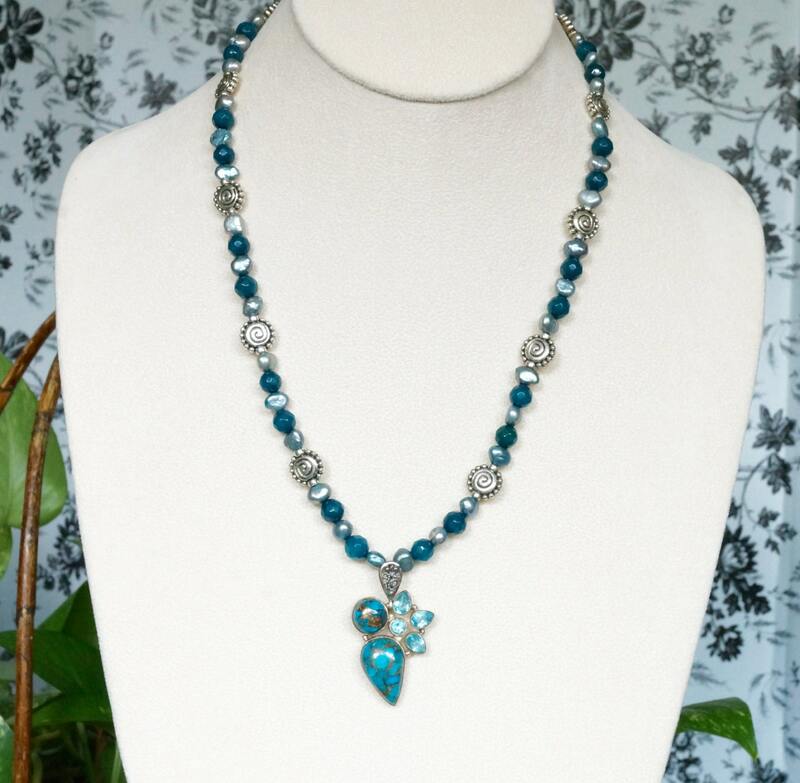 It comes together with a sterling S clasp that is adjustable, from 19.5 inches to 21.5 inches long. The pendant measures 1.5 inches long, with the bail.